A drop in energy costs helped put the brakes on inflation on the consumer level in May. 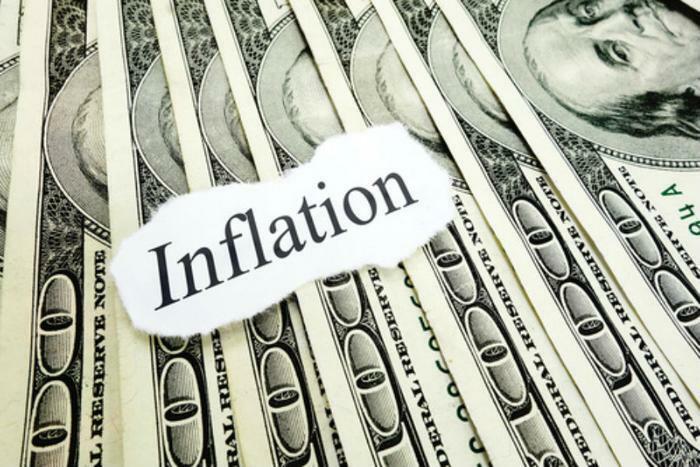 The Labor Department (DOL) reports its Consumer Price Index (CPI) fell a seasonally adjusted 0.1% last month, bringing the rise in consumer prices over the last 12 months to 1.9%. The price of energy fell 2.7% following April's increase of 1.1%. The biggest factor last month was gasoline, which plunged 6.4%. That offset increases in natural (+1.9%) and electricity (+0.3%) . Over the past 12 months, energy prices have gone up 5.4%. Food prices were up 0.2% in May -- the fifth monthly increase in a row. The cost of food at home, or groceries, inched up 0.1%. Within that category, nonalcoholic beverages & beverage materials jumped 1.1%, meats, poultry, while fish & eggs, dairy & related products and cereals & bakery products each rose 0.3%. Decliners included fruits & vegetables (-0.6%) and other food at home (-0.1). Grocery prices over the past year are down 0.2%, due largely to a drop of 2.1% the cost meats, poultry, fish and eggs. Restaurant prices, or food away from home, rose 0.2% in May and are up 2.3 percent over the last 12 months. Overall food costs over the past year are up 0.9%. The “core” rate of inflation, which excludes the volatile food and energy categories, was up 0.1% -- the same as April. Over the post 12 months, it's up 1.7%. Areas outside of food and energy that saw costs increase include housing (+0.2%) and motor vehicle insurance (+1.1%). Prices for communication, new vehicles, and used cars and trucks all dipped 0.2%. Clothing and alcoholic beverage costs also declined. The price of medical care index was unchanged in May.